Back to school themes reflect the happiness and the fears that come with the start of a new school year. All summer, students talk about dreading the start of school, but secretly most of them are ready to return by the time the fall season arrives. School is a major part of every child’s life and so returning to school is a major event each year. Students go through a ritual of seeking out friends they haven't seen all summer. They've got new friends to meet and new names to learn. Teachers also have their own traditional routines they establish at the beginning of each school year. They must come to understand their new class from a psychological viewpoint in order to create the best learning environment. Teachers and students must also learn quickly to work together at the start of the new school year. There’s a lot to accomplish in a short period of time. The sooner teachers and students bond in their new classes, the more productive the school year will be. School themes can contribute to making this possible. The 3 R's and ABC’s are important but school is also about discovering every child's life potential. Back To School preparations can reflect creativity and imagination... two ambitious teachers might hope to inspire during the coming year. 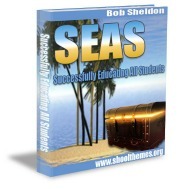 Themes should stimulate creative thought while promoting student and teacher interaction. Back to school tips or ideas promote student and teacher interaction and spur intellectual exchange. Back-to-school themes can help set the tone for the entire school year. All children instantly feel welcome when they walk into a classroom with colorful decorations and pictures that portray a common theme. So whether it's high school themes honoring senior class accomplishments or new themes establishing school goals, it's important to create a welcoming, familiar back to school environment for students. Using back to school theme concepts students can transition more easily from summer play to an environment of expectations and formal routine. Although we may have established that students are likely ready to return to school and their friends, we must also recognize the adjustments and challenges present in the first days of school. Teachers are looking for ways to captivate student interest and attention. Back-to-school themes can be the perfect classroom tool. Themes are your ideas put in motion. Round up those creative folks in your school, put your theme team together, provide the necessary school restrictions or guidelines... then turn them loose. Teachers often need ideas to help kick start the new back to school year and your theme team is the right ticket. Click on "Your Theme Team" in the left hand menu of this page if you want some helpful ideas about picking the best team members. Using back to school themes as teachers aids can help simplify some planning and scheduling processes too. There are themed CD’s, themed professional lessons, themed software programs and themed class projects. 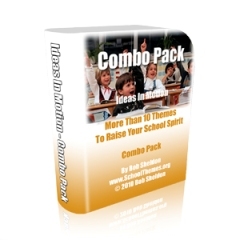 As a teacher resource, themes have proven to be a winner in many schools. Back to school themes can be fun, casual, sophisticated, humorous, formal, serious or just plain simple. Your school is unique so decide what works best for you and your school spirit ambitions. Leave Back to School Themes and Get Your School Theme!